Compact enough for daily use, this unique MPV is your 365 day a year vehicle. 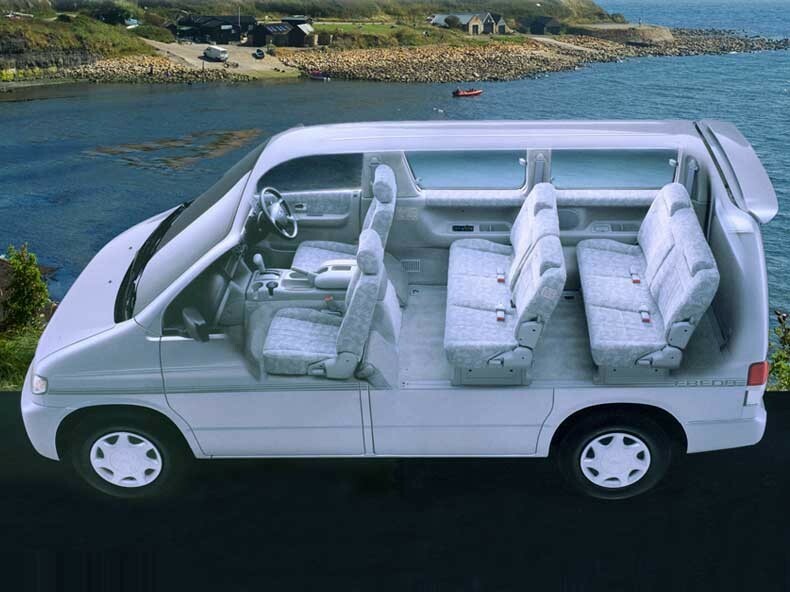 With its purposeful stance and agile nature, the Mazda Bongo MPV is designed for modern day driving – 365 days a year. Compact enough for day to day use, school runs and the supermarket car park; it instantly transforms into a perfect family camper for impromptu day trips, weekends away and brilliant holidays. Alternatively, the 2.0 litre 4 cylinder or whisper-quiet V6 2.5 litre petrol engines can power you off to your holiday destination whilst offering the possibility of super-economical LPG conversions. The Bongo requires no more space than an average family saloon, with easy precision parking thanks to a strategically placed rear mirror and optional parking sensors. Front and rear air conditioning enables drivers and passengers to relax and stay cool as they follow the sun. Central locking, electric windows and power steering can be taken for granted. 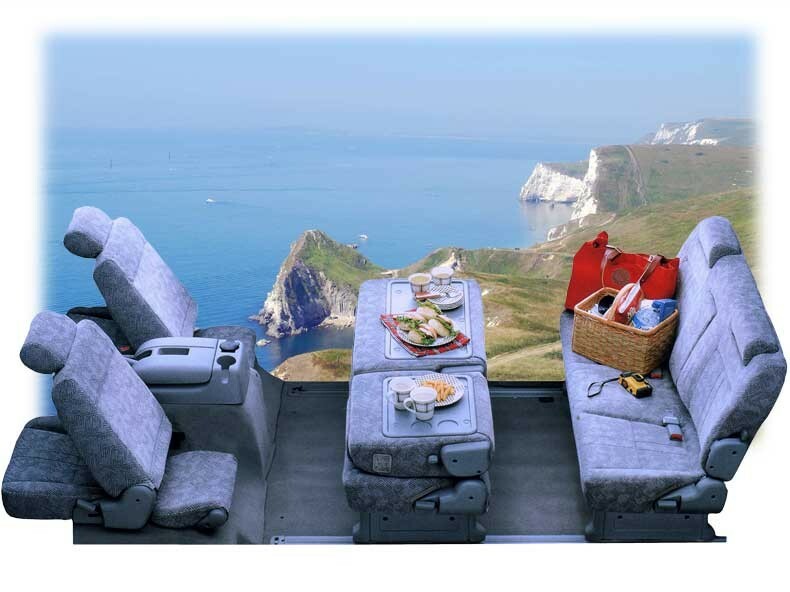 On most models ABS brakes and airbags, unusual in campervans at this price, provide welcome reassurance. Tinted windows, alloy wheels and 4-wheel drive are also available. With seats that fold down to form a supersize double bed, and the legendary elevating roof a family of four is comfortably accommodated. The safety of your loved ones should never be compromised. In the rear there are 4 three-point diagonal seat belts plus 2 lap belts, and so in total 8 people can be carried in comfort. Child seats and booster seats can be fitted with ease. Mazda’s reputation for reliability is legendary and all parts are readily available. Cab and rear air conditioners, automatic transmission, electric elevating roof, radio/cassette, power steering, electric mirrors, right hand drive. 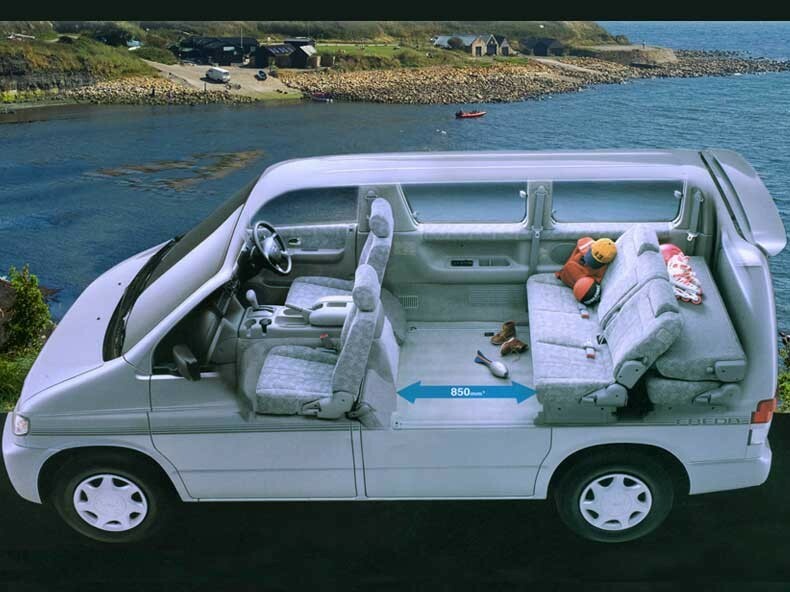 The Mazda Bongo is a practical every-day 8 seater MPV with six factory fitted 3-point belts and 2 lap belts. 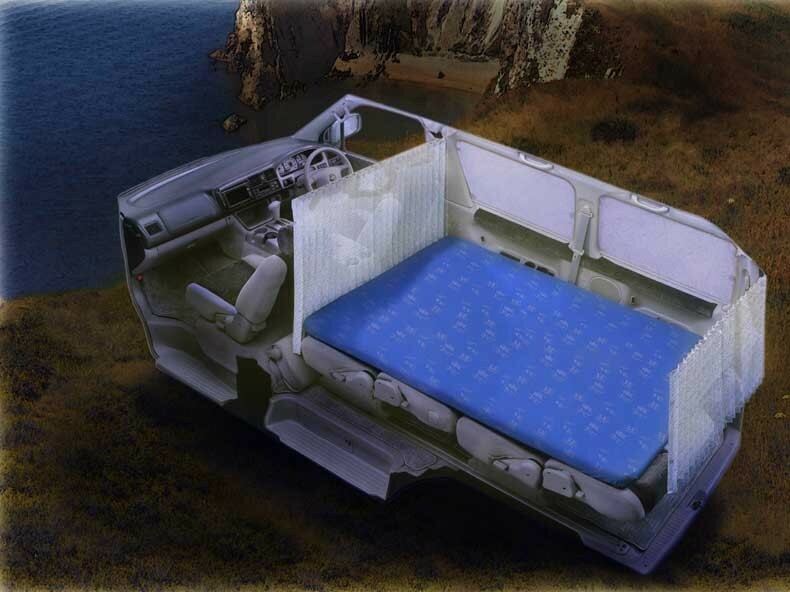 The unique seating provides an unparalled level of flexibility with the middle row folding forward to form a full size table, or backwards, which in combination with the rear seats, turn in to a full size double bed. Couple this with the electric lifting roof and in-built window blinds and you have the most versatile MPV on the market.